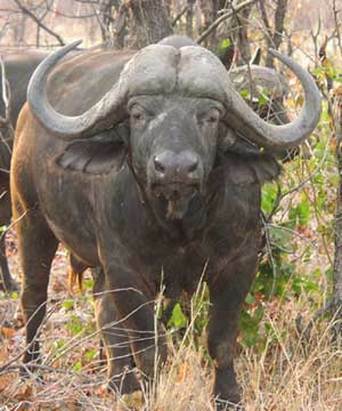 There are 74 different breeds of water buffaloes. at grasses, herbs and other green plants. Are the largest member of bovines. Most are found in Asia (mainly India). 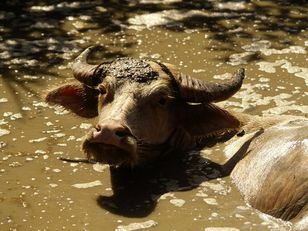 Spend most of their days submerged in muddy waters usually leaving only its nostrils exposed. The young stays with its mother for the first few years. Although they have small ears, they have good hearing.